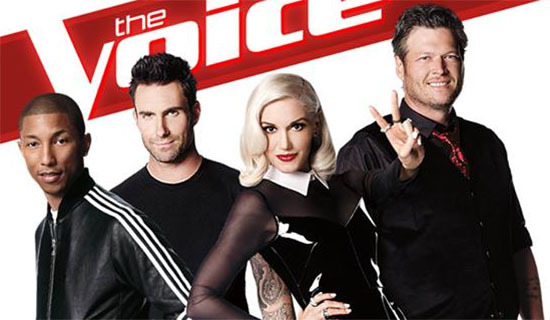 The Voice USA Season 7 has finished the Battle Rounds and the contestants moving to the Knockout Rounds has been completed! The Knockouts begins next week! Out of 33 singers, the judges can only keep five singers for their team to represent in the Live Shows. In this round, the artists will be paired against a teammate once more, but this time they will select their own songs to perform individually, while their direct competitor watches and waits. They are vying for their coach’s confidence and decision to take them to the Live Shows. One superstar, universal advisor will be on hand to work with all of the coaches and their teams as they prepare the artists for this challenge. This seasons’ advisor is country singer Taylor Swift. Here’s the Team Standing and the the full list of artists competing in Knockout Rounds. The Knockouts starts on Monday, October 27 at 8/7c!